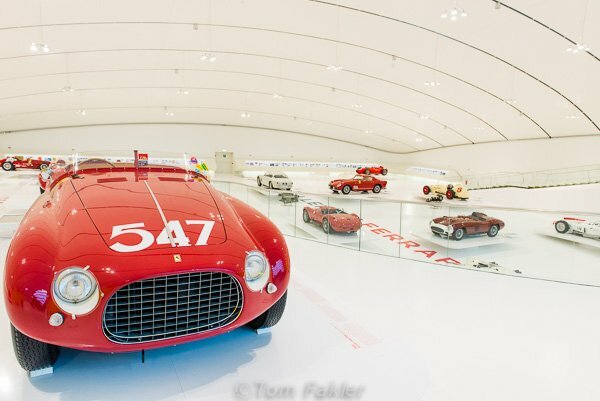 In March 2012, a new museum arrived on the Modena scene: the Museo Enzo Ferrari (MEF), dedicated to Ferrari’s life and artistic legacy. 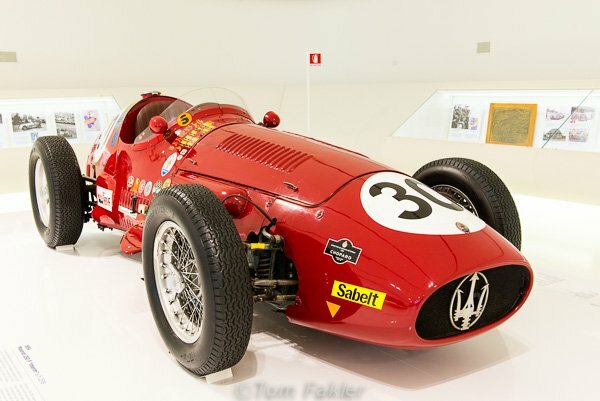 The current exhibition, “The Great Challenges Ferrari – Maserati”, is about the eternal duel that involved challenges between two great names in Italian automobile history. My favorite car on display was this Maserati. The 1956 curves of the beautiful racer brought back memories of watching cars like this at Elkhart Lake’s Road America raceway in Wisconsin when I was in college. I was quite surprised to learn that quiet little Modena is Italy’s motor city. You might ask why it has that designation. 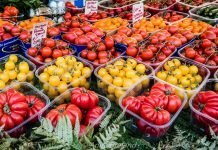 Modena is home to Lamborghini, the Maserati plant and is the home town of Enzo Ferrari. 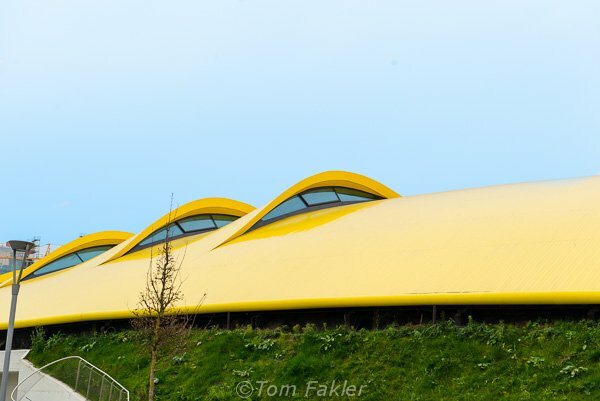 The museum’s contemporary architecture was designed by architects Jan Kaplický and Andrea Morgante. The guiding principles of the museum’s design are to communicate the motoring vocation of Modena and to tell the story of Ferrari. The museum complex was designed according to bioclimatic principles and made with innovative materials. It was built to promote energy conservation and environmental sustainability. The museum’s environmental design aims result in an unobstructed viewing experience. Cars, the protagonists of the museum, are mounted and exhibited as works of art, atop specially design platforms. Exhibitions are typically changed out every six months. 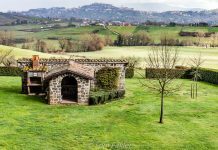 Ferrari and Maserati had different ways of considering the car, and this left a deep mark on the Modena territory and car racing history across the world. 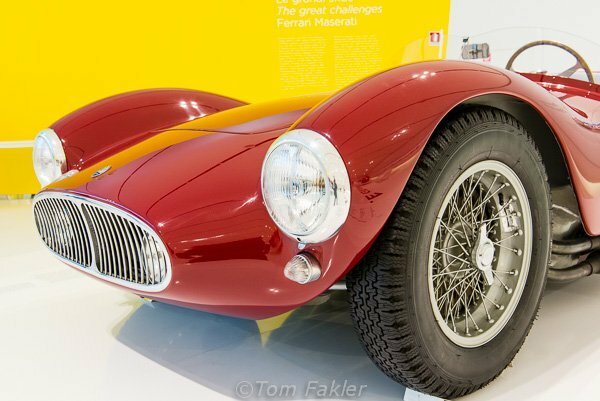 Between them, through the 1950s, the two manufacturers kept Modena in the headlines as they captured one racing prize after another. For the current exhibition, 19 cars were brought from all over the world for display, carefully selected from the most representative examples of the two makes. 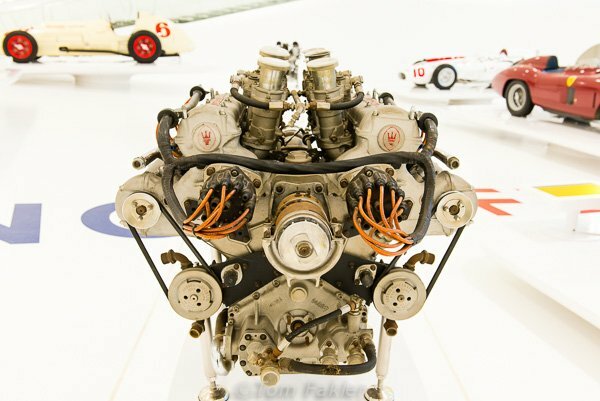 The exhibition, which shows the most important cars involved in the racing competition between the two Emilia Romagna car manufacturers, will run until 20 March, 2013. For me, a car buff and photographer, it was ideal that the cars are mounted about 50 cm above the floor, which allows perfect angles for photographing the displays. 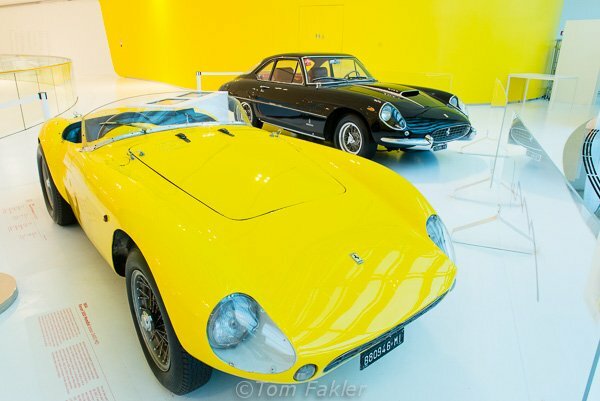 Ferraris are mostly identified with red, but here is a yellow one. 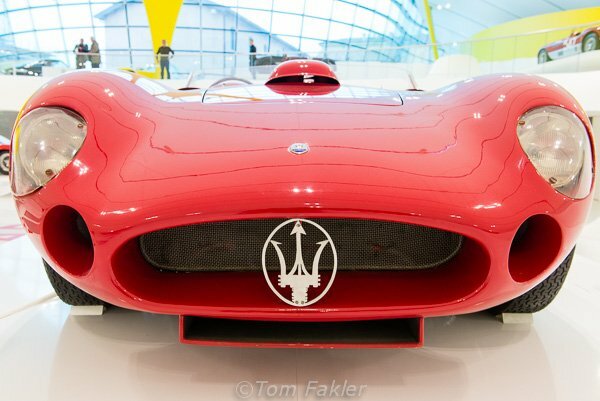 A “nose-on” view of one of the Maseratis in the exhibition. 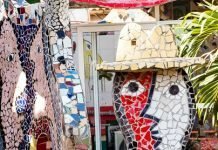 The exhibition has an almost equal mix of designs from the two manufacturers, which shows how close the competition has been. WOW! Just daydreaming of the power and sound from this motor made my heart race. 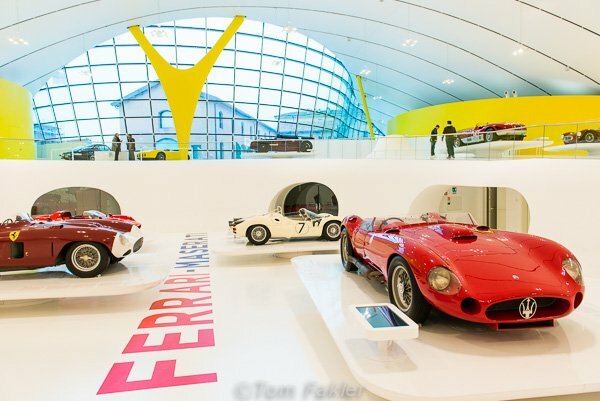 If you like cars and modern architecture the Museo Casa Enzo Ferrari is a must see. 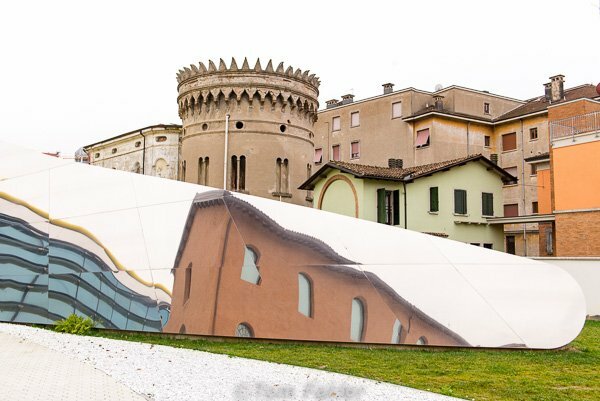 The exterior shows the modern museum in context with the old city of Modena. 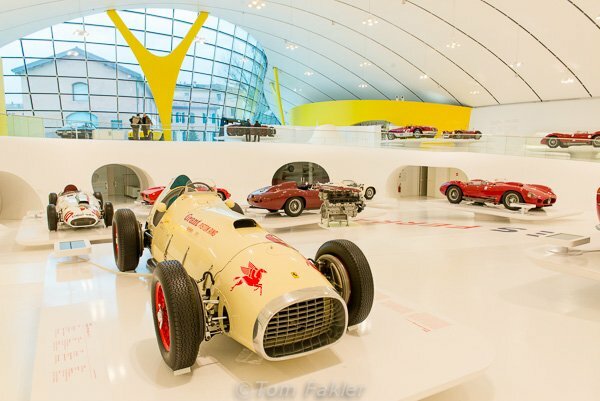 Ferrari’s home and core of the museum showcasing his life, is reflected in the mirrored wall of the exhibition hall. 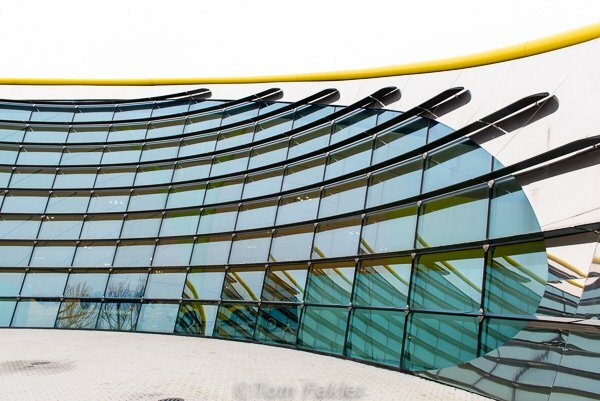 The exterior of the exhibition hall is as sleek as the cars on display inside. Italy is known for Art and Cars. Modena did not disappoint.